David Gravel is the founder, president, and CEO of GraVoc Associates, Inc. He is a member of the Information Systems Audit and Control Association (ISACA) and has obtained CISM, CISA, CRISC and MCP certifications. Prior to founding GraVoc, David was CFO for Selecterm, Inc., and helped orchestrate the company’s sale to GE Capital. David takes an active role in the Peabody community as well; he served eight years on the Peabody School Committee and currently sits on the Peabody City Council as a Councilor-at-Large. David is also a board member of the Peabody Chamber of Commerce and the chairman of the Peabody Education Council. An alumnus of Salem State College, David is now a member of the school’s Center for Entrepreneurial Activities Alumni Advisory Board. When he isn’t working or volunteering, David enjoys spending time with his family and skiing. Cathy Gravel is a co-founder of GraVoc Associates and serves as the company’s vice president. Prior to joining GraVoc, Cathy worked both in both the medical field and as an entrepreneur with The Sewing Room, her seamstress business. In the community, Cathy is an active member of the Peabody Rotary and has previously served as president of the club. She is also a member of the Peabody Chamber of Commerce and the Mary Upton Ferrin Group. In her leisure time, Cathy enjoys outdoor activities and spending time with her family. Nate Gravel is responsible for the development and delivery of GraVoc’s three principal service areas in information security: risk management and compliance, IT assurance, and audit. Prior to his tenure as director of the information security practice, Nate served as a guest lecturer in Latin American studies at Salem State College. In his spare time, he enjoys traveling, writing, live music, spending time outdoors, skiing, and coaching cross-country. Jason Vlacich is GraVoc’s director of Software Solutions and is responsible for the implementation of accounting and enterprise resource planning software to several dozen commercial clients in several different industries. 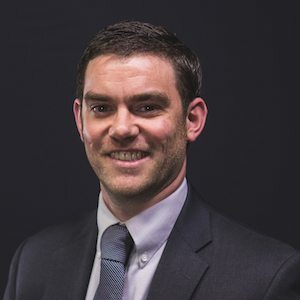 Jason brings a strong background in finance to GraVoc’s information systems and professional services practices, having previously served as a controller of NetSuite Development Corporation. Brian Gravel joined GraVoc in 2007, as a part-time marketing consultant. Brian has worked nearly a decade in the media industry and was the co-founder of DivergingSoul Media Production in 2006. DivergingSoul was acquired by GraVoc in 2010 and with the partnership Brian handles GraVoc’s new services including video production, web design,digital signs and SEO. Brian has also directed several short films and enjoys being a DJ playing electronic music.